Calici di Stelle is the most important wine tasting event. 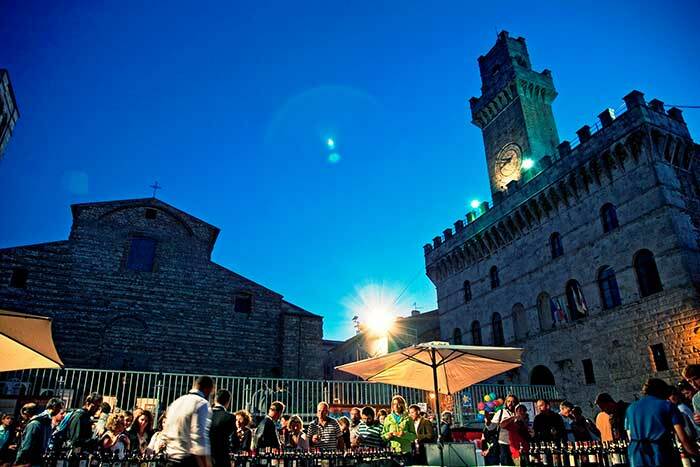 In August, inside the historical centre of Montepulciano, during the evening of St. Lawrence, the wine producers of Vino Nobile and Rosso di Montepulciano have a tasting of their wines for the public. On this occasion the Contradas of the Bravio delle Botti open their seats to the visitor to taste the typical products and traditional local food together with the wines.